Thus, while Bates began his career serving U.S. government and corporate interests, during his later life as a public figure, he criticized dominant modes of development and worked to suggest alternatives that he viewed as more humane, democratic, and scientifically-informed. This work is apparent not only in his prolific writings, but also through such efforts as his role in organizing the highly influential 1955 Chicago conference on “Man’s Role in Changing the Face of the Earth” and the 1959 Darwin Centennial, as well as consulting on post-Sputnik education reforms and population control programs. For this reason, his biography opens a window not only into significant public debates, but also into the formation of U.S. policy toward science and the global environment at mid-century––a key period of transition in both environmental thinking and the U.S. role in the world. My research for this project has been supported by a 2017 Bordin/Gillette Fellowship at the Bentley Historical Library of the University of Michigan, a 2018-2019 Rockefeller Archive Center grant, a COLA College Research Fellowship, a Special Research Grant through the Office of the Vice President for Research, and a History Department Scholarly Activity Grant. My other new project in-progress is a deep environmental history of El Yunque National Forest, Puerto Rico, the only tropical rain forest in the U.S. National Forest system. I foresee this ongoing project as a potential third book, which will combine the methods of history of science with those of environmental history to interrogate the nature of long-term environmental knowledge. El Yunque has long been an important site of indigenous and peasant subsistence and local environmental knowledge. Seen as the island’s last wilderness and a historic region of Tainó resistance to Spanish colonization, it is a symbolic place of Puerto Rican heritage and national identity. At the same time, its history as a site of scientific research and conservation also stretches back centuries. Studied and managed by the Spanish foresters of the Inspección de Montes since 1876, El Yunque was already one of the oldest forest reserves of the Western Hemisphere when it was transferred into the U.S. forest system after the 1898 Spanish-American War. 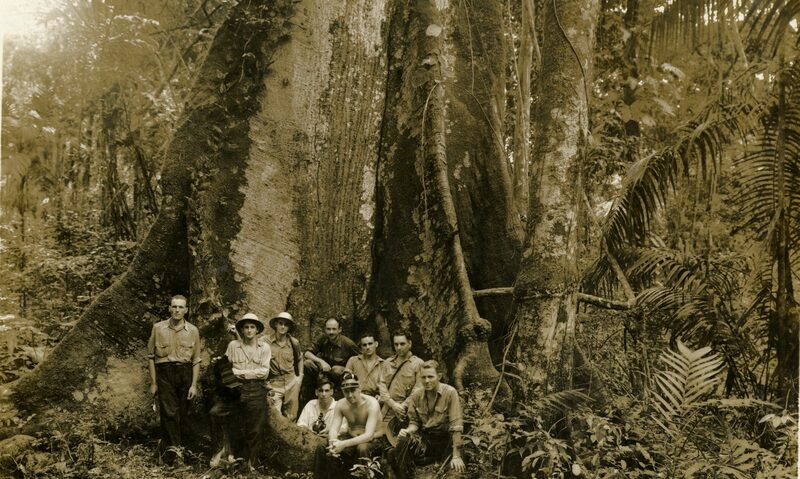 In the twentieth century, it became an internationally-recognized field area for forestry research, ecology, and military testing. Today it is also a Longterm Ecological Research (LTER) site and a UNESCO Biosphere Reserve and plays a major role in research on ecological disturbance and climate change. This deep, intertwined history of knowledge production and land use suggests to me how El Yunque can illuminate continuities and discontinuities in the production, maintenance, and recovery of environmental knowledge over very long timespans in human history. Book: American Tropics: The Caribbean Roots of Biodiversity Science. Chapel Hill: University of North Carolina Press, 2017. Cooperating with Frederick Gibbs of the George Mason University Center for History and New Media, Hanni Jalil and Gabriela Soto Laveaga of the University of California-Santa Barbara, and Gregg Mitman of the University of Wisconsin-Madison, I helped to design an interactive webtool to map historical plant type specimen collections from the JSTOR Plant Science database. I used the tool to interpret nineteenth- and twentieth-century botanical collections throughout the Caribbean region. We advised JSTOR on ways to make the Plant Science database more accessible for researchers in the humanities. This project was presented at the 4th Global Plants Initiative Meeting, Smithsonian Tropical Research Institute, Panama City, Panama, January 10-14, 2011.